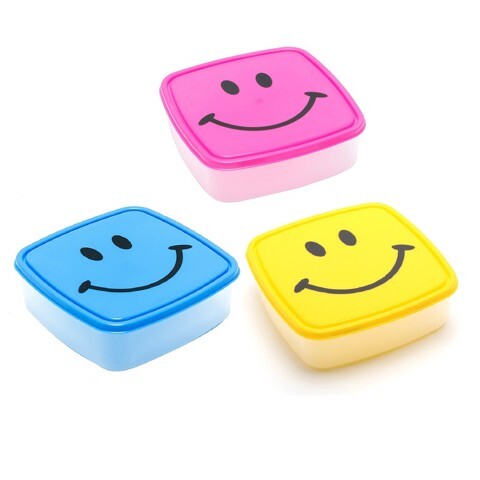 Lunch Box W/Smiley Face 3Asst. 14.5 x 14.5 x 4.5cm . Yellow | Pink | Blue Lids. Clear Base. PP Plastic. 60G Packaging: Shrink Wrap.